Implementing Canada EFT Software is a simple and affordable solution to managing Canadian ACH. Implementing software allows Canadian based applications to debit checking accounts for one-time or recurring payments. Canada EFT Software options are relatively scarce compared to the number of ACH processing providers available in the United States. A small number of banks are in charge of the Canadian payments domain. Since options are limited it is difficult to gain access to Canada EFT processing. Integrating Canada EFT Software facilitates the automation of payment collection and reconciliation processes, either as an independent application or concurrently with a U.S. ACH processing solution. A single system capable of managing both U.S. and Canadian e-check transactions, and reporting data for reconciliation leads to increase customer acquisition tool and more revenue. Makes planning much simpler and less stressful. Present the application and underwriting process on their website. 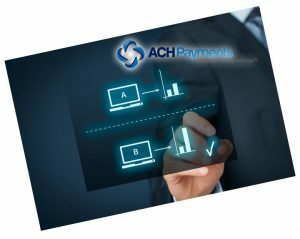 Give the impression that the ACH payments solution is coming from them. The Canada EFT Software path that an application chooses will determine how a SaaS company sends their credentials. SaaS organizations require merchant users to enter API credentials, and in some cases the API credentials are passed on behalf of the merchant to the SaaS organization for entry.